Time to take another trip back down memory lane. 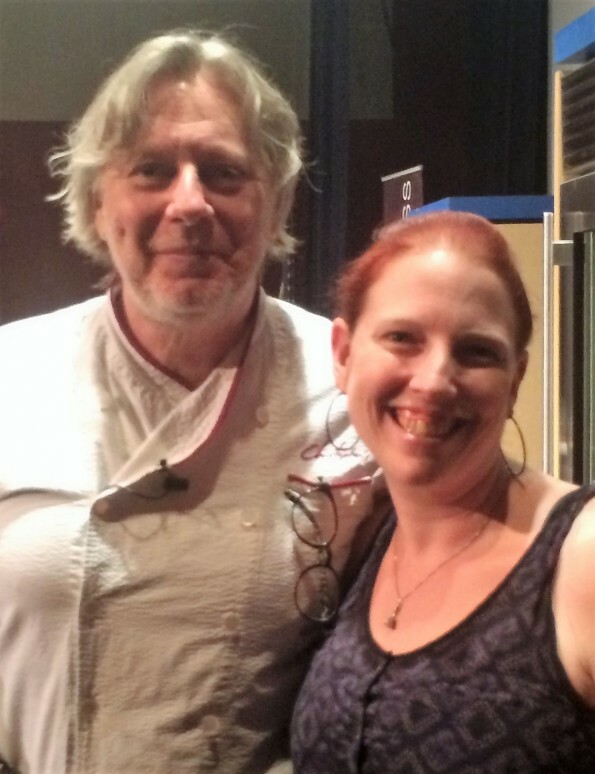 This Throwback Thursday post is an interview I did with Chef Christopher Gross for DAPs Magic‘s Geek Eats. With Chef Gross’ recent news of being awarded the Arizona Culinary Hall of Fame’s Lifetime Achievement Award, it felt appropriate to share this interview. We had the pleasure of meeting Chef Gross at Check, Please! 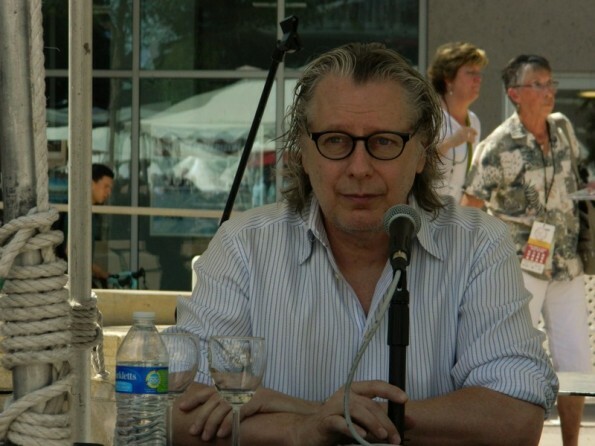 Arizona Festival after his panel with other James Beard award winners from Arizona and again at the Scottsdale Culinary Festival’s Great Arizona Picnic. His unique attitude towards food, the culinary industry and life in general intrigued us (not to mention he knew Julia Child! Though Matthew was more impressed he rode motorcycles and owns a Ducati) and we knew we wanted to speak with him more. 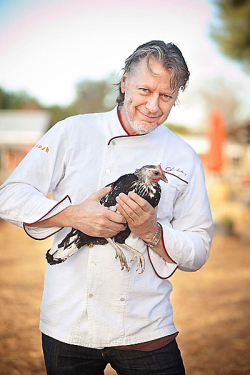 Highly regarded in his field, Chef Gross’ awards are many. He was named one of America’s 10 Best New Chefs by Food & Wine Magazine, his restaurant was named Best New Restaurant by William Rice of the Chicago Tribune and Best New Restaurant by John Mariani of Esquire. Perrier Jouet and the James Beard Foundation named him Best Chef Southwest and he was the first chef in Arizona to be honored with the Robert Mondavi Culinary Award of Excellence. 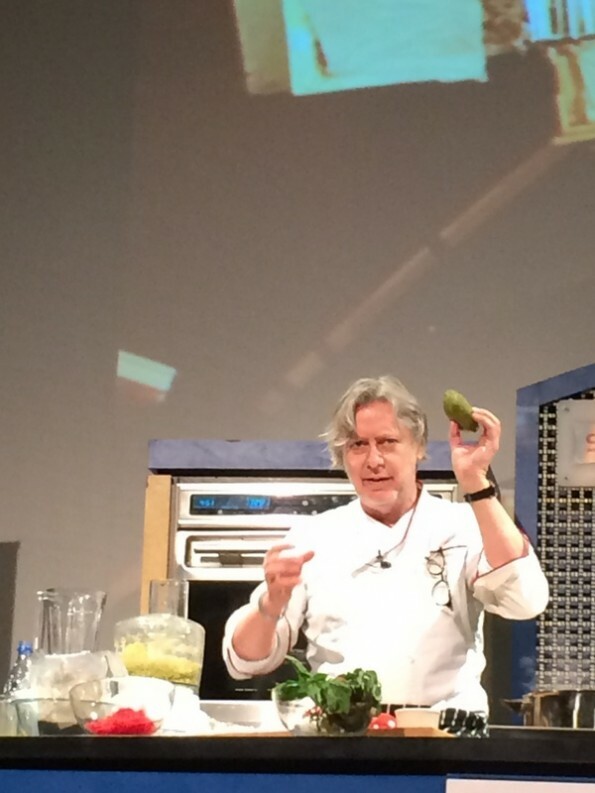 Christopher has also been featured on numerous panels with Jacques Pepin and Julia Child at the Food & Wine Classic in Aspen. He and his recipes have appeared in numerous cookbooks, including the Julia Child PBS series and cookbook “In the Kitchen with Master Chefs.”He has been a featured chef for the James Beard Foundation Dinner of the Decade, and cooked for Presidents Ford, Reagan, Bush as well as former Vice President Al Gore and former House Speaker Nancy Pelosi. Chef Gross was a founder of the Arizona chapter of the American Institute of Wine and Food (AIWF), is on the National Board for the American Liver Foundation, has served as co-chair of the American Liver Foundation’s “Flavors of Phoenix,” and was Chair of the Share Our Strength’s “Taste of the Nation.” Christopher was also on the National Advisory Boards for the James Beard Foundation and for the Art Institute of Phoenix.Chef Gross’ culinary legacy continues with his latest endeavor, Christopher’s & Crush Lounge, named one of the Top 10 New Restaurants in the U.S. by Gayot.com. I got my first chef job in 1980, about 35 years. My love of racing motocross, for which I needed money. I worked in kitchens here in Phoenix, then went for 2 years in L.A. Following that I moved to London to work for about a year and then to Paris for about 2 years. Not really. Except that a good chef should know how to be a pastry chef as well and to learn wine. A lot. Meeting people, travel, doing what you love to do, eating and drinking. Anything I don’t like to eat myself. Annoying, look at most of the ads or commercial breaks; they are selling Crisco salad dressing and their demographics are not really for people who love good food, its just TV. There are too many people name. What were your inspirations when you created the menu for Christopher’s? It became a little more business and I was asked to travel more; doing events all over the world such as a wine expo in France, cooking in China, Thailand, South America, all over Europe and the USA. Taste everything and taste again; don’t be afraid of salt. Learn to cook first. Too many young cooks want to be the TV chef and create stuff before they even know how to cook or taste well. We love revisiting our old Geek Eats interviews for Throwback Thursday! Congratulations again to Chef Gross for being awarded the Scottsdale Culinary Hall of Fame’s Lifetime Achievement Award! Thanks also go out to him for taking the time way back when to do this interview! Is there someone you’d like to Geeks to interview? Let us know in the comments below or on Twitter using the hashtag #GeekEats and we will try to make it happen! Place flour, salt and pepper in a food processor. Start processor and add olive oil and egg yolks blend until the dough starts to form a ball. If dough is too wet, gradually add more flour. If the dough is too dry, adjust by adding more egg yolks. When finished, wrap the dough in plastic wrap and let it rest for 30 minutes. Roll with a pasta machine or by had with a rolling pin as thin as possible. Cut the pasta as desired. Add 2 oz. of raw Lobster Roe to beginning of recipe and proceed and continue with remaining instructions. Using a blender, puree tomatoes and garlic. Place the juice in a saucepan and simmer over medium heat for 30 minutes. As juice is reducing, gently remove red tomato mousse that is forming at top and reserve. Strain all liquid on top of a coffee filter. Using soup spoons, form quenelles from mousse for garnish. Chef's Note: Broth is also great for Bloody Mary martinis by shaking with 4 oz. of vodka.